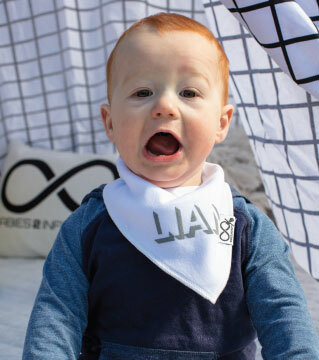 If your little cutie is running the show already, we have the perfect bib! Your little CEO - ‘Chief Eating Officer’ will stand out in this cute bib, customised in your choice of text and fabric colour. Our premium bibs are printed to order. Select your preferred fabric colour, and then choose your text and text colour. Choose from nine fabric colours and 27 text options!